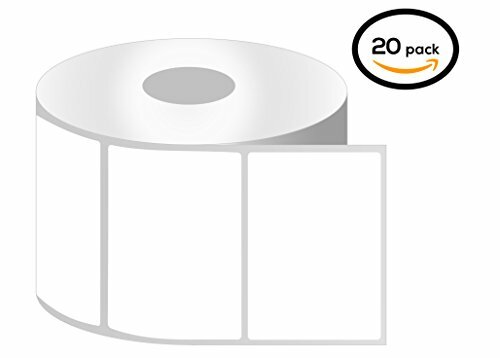 Our High Quality Direct Thermal Labels are compatible with most Direct Thermal Printers including Zebra EltronTM, FargoTM, SatoTM, DatamaxTM and IntermecTM. These labels have many uses including, but not limited to printing Shipping Labels, Barcodes, Carton Content Labels, Address Labels, or just General Purpose Tags. Our rolls are wrapped individually with plastic bags to ensure that no sunlight is able to penetrate onto the surface of the labels. Our labels keep their pristine white color for much longer than our competitors. Being one of the only companies that takes this precaution we are proud to say we go the extra mile for our customers and we stand by the quality it ensures. Products trademarked OfficeSmartLabels (TM) are marketed and sold exclusively by SOJITEC(TM). The OfficeSmartLabels name, images, and contents of this listing are protected by trademarks and copyrights. Copyright 2010 OfficeSmartLabels. Genuine Products come with of OfficeSmartLabels logo on the back of the liner.